We’re opting to do another Canadian, as we start to wind down our ‘June – The Month of Pinks’ feature. 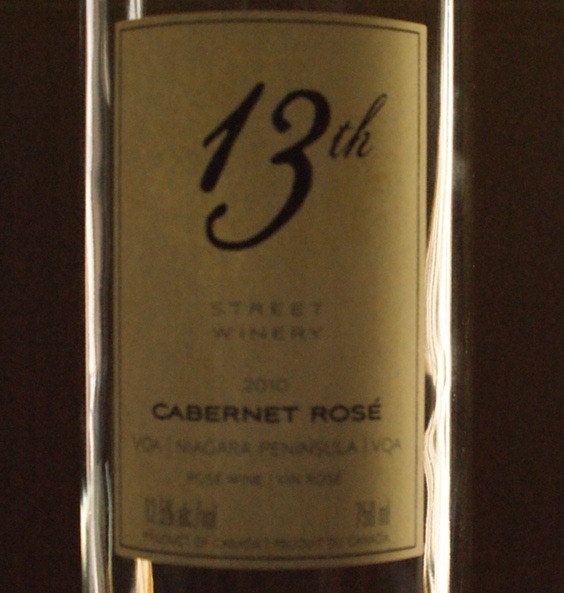 Today’s rosé comes from one of my favourite Ontario wineries, 13th Street. I actually picked up this bottle, while on site at the winery for a visit. As usual, we’ll start with the colour of this rosé, which in our opinion was more dark in complexion than usual, but it still had an excellent sense of clarity to it. On the nose, you’re greeted with fantastic hints of strawberry, raspberry and tender amounts of cherry. On the nose we’ll also point out that this rosé’s complexity is not lost here. The more this rosé opens up, the more robust the scent. On the palate, you get a sense that this is a well balanced rosé, with the acidity, tannins and sugar contents, all doing their part to bring you a fabulous rosé experience. It’s mature and punchy taste makes this a rosé fitting for even your serious red wine drinker. This rosé cannot be found in the LCBO, but can be ordered from the 13th Street Winery directly. It’s a definite must try, if you get the chance.